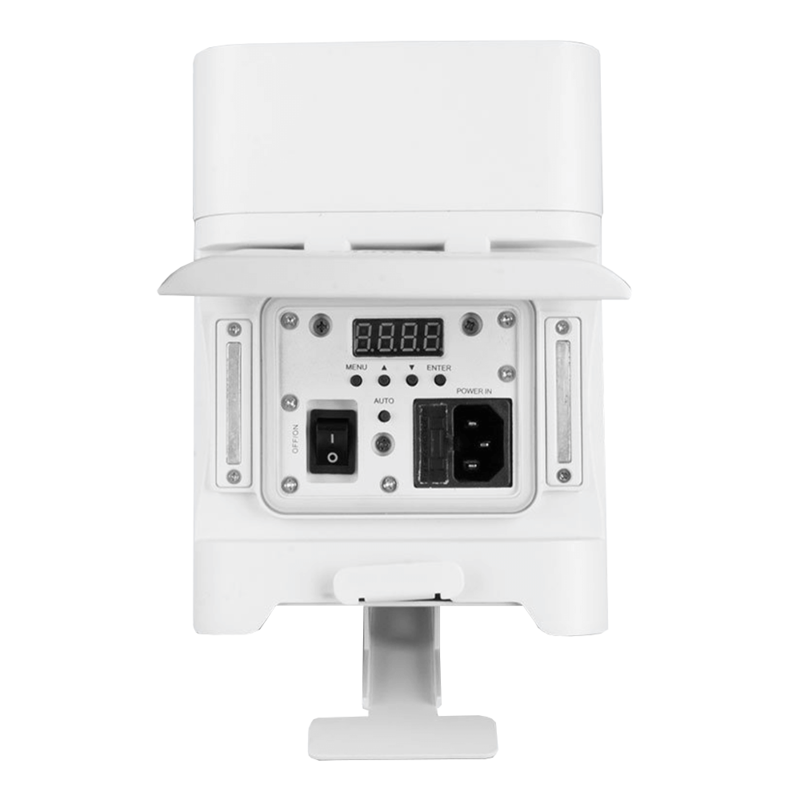 Freedom Par Quad-4 IP is a 100% TRUE wireless, battery-operated, quad-colour (RGBA) LED Par with built-in D-Fi transceiver. Its temporary outdoor-rated robust housing repels water, snow, dirt, and sand for all-weather applications and is available in black or white. 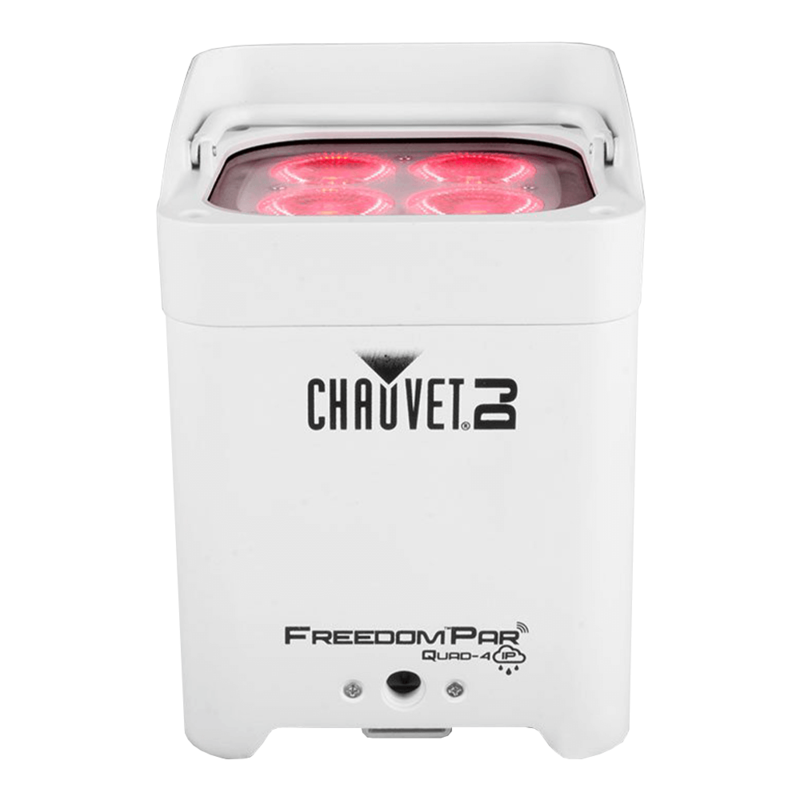 Freedom Par Quad-4 IP is a 100% TRUE wireless, battery-operated, quad-colour (RGBA) LED Par with built-in D-Fi transceiver. Its temporary outdoor-rated robust housing repels water, snow, dirt, and sand for all-weather applications and is available in black or white. 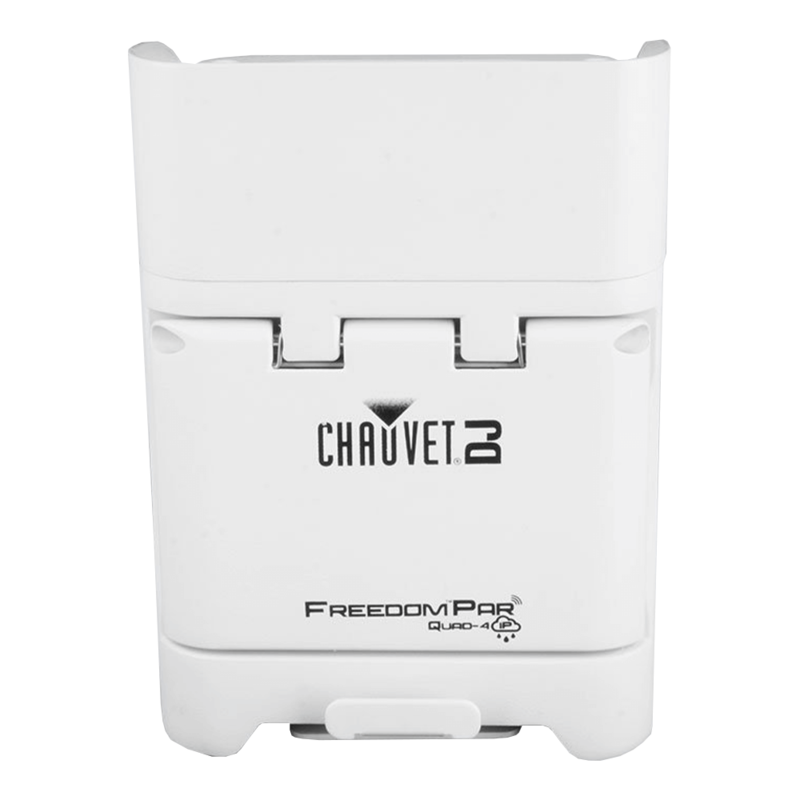 Freedom Par Quad-4 IP works in Master/Slave mode with first-generation Freedom Pars and it has multiple wireless triggering and control options via the FlareCON Air and the FlareCON app. 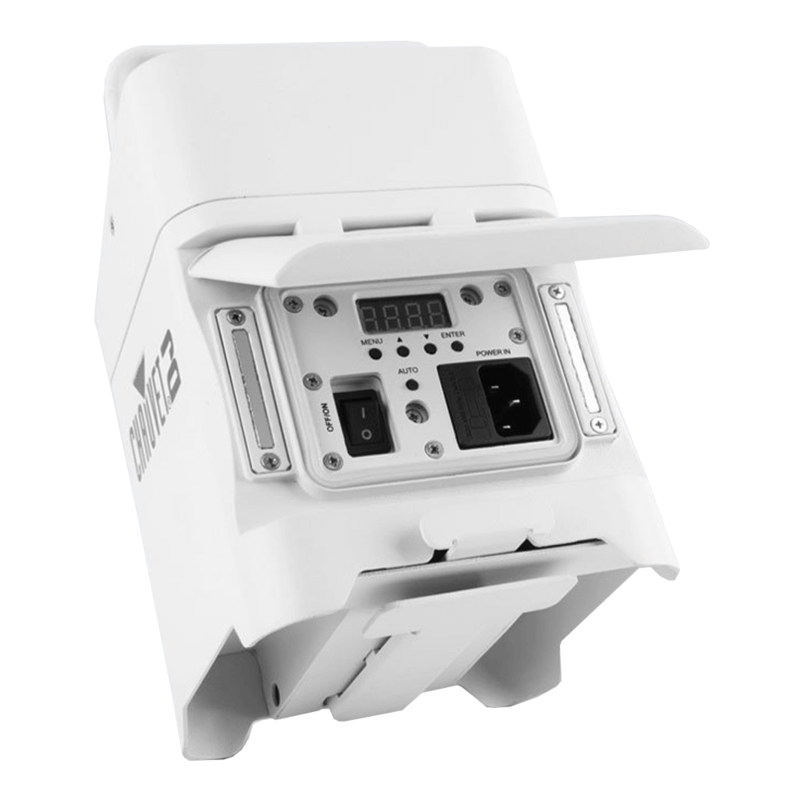 Convenient, wireless non-DMX control is available using the IRC-6 remote and customized colours can be created using the built-in LED display. 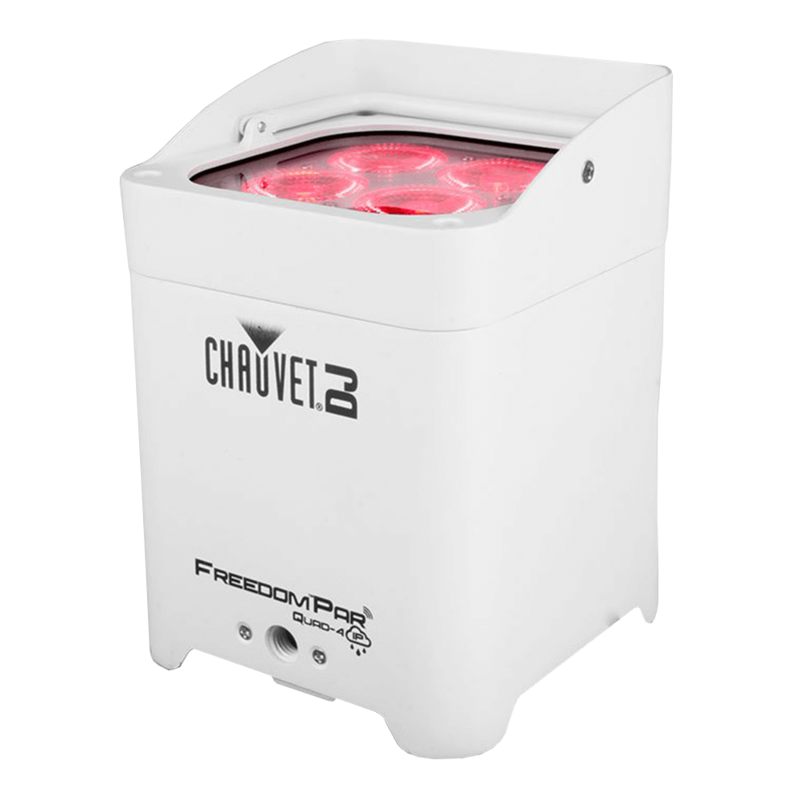 Shine light where it is needed using the built-in adjustable kickstand and prevent light spillage with the built-in glare shield. Achieve smooth LED fading with built-in dimming curves and extend the battery’s lifespan with built-in discharge protection. 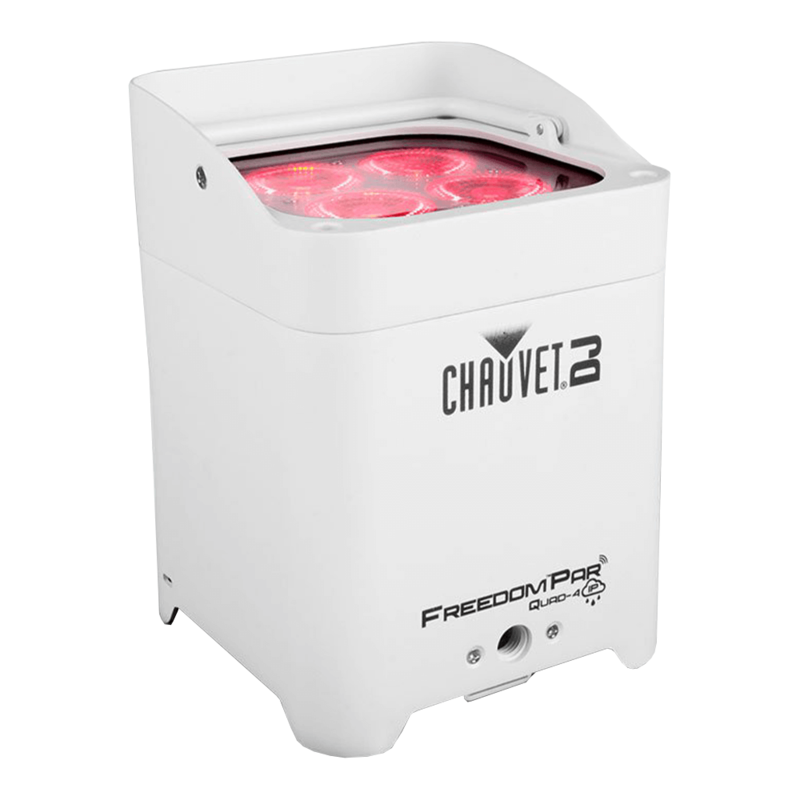 Safely store and transport your fixtures from gig to gig in the CHS-FR4 carry bag.